1. 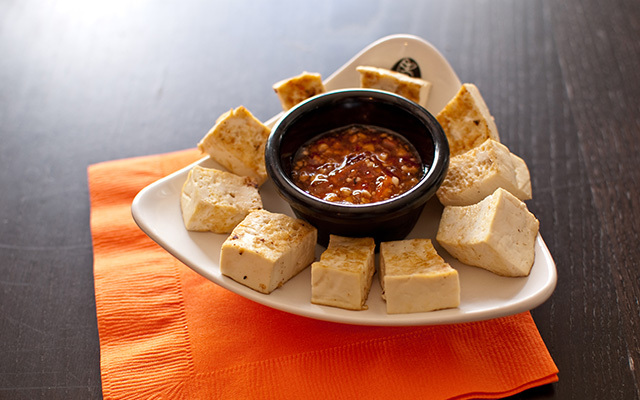 Cut a block of firm tofu into bite-sized cubes. 2. Pan-fry tofu cubes in olive oil until browned. 4. Serve with sweet and sour sauce mixed with some ground peanuts, if desired. If you want crisper tofu and with more flavor, lightly coat the tofu in flour and garlic powder before pan-frying.